AUSTIN –The Texas Workforce Commission (TWC) today announced that the deadline has been extended to October 31, 2017 for individuals filing for Disaster Unemployment Assistance in all 39 counties declared in Presidential Disaster Declaration FEMA 4332-DR. This deadline extension will allow affected individuals, who may be eligible but have not yet applied, with additional time to apply for disaster unemployment assistance. TWC is accepting applications for Disaster Unemployment Assistance (DUA) from individuals whose employment or self-employment was impacted by Hurricane Harvey. Applications from individuals who live in, work in, or travel through these counties must be submitted by October 31, 2017. TWC’s website contains more information about Disaster Unemployment Assistance. For more information: Individuals can apply for disaster unemployment benefits online through Unemployment Benefit Services or by calling a TWC Tele-Center Monday through Friday between 8 a.m. and 5 p.m. at 800-939-6631. AUSTIN –The Texas Workforce Commission (TWC) is accepting applications for Disaster Unemployment Assistance (DUA) as a result of severe weather due to Hurricane Harvey. Under Presidential Disaster Declaration (FEMA 4332-DR) dated August 25, 2017, workers who lost their jobs and self-employed individuals who have been unable to work due to damage sustained from Hurricane Harvey. Applications for DUA must be submitted by September 27, 2017. TWC’s website contains more information about Disaster Unemployment Assistance. 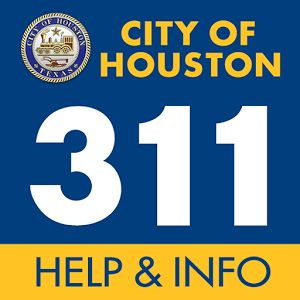 Individuals affected by the recent severe storms in the following counties can apply for benefits online through Unemployment Benefit Services or by calling a TWC Tele-Center Monday through Friday between 8 a.m. and 5 p.m. at 800-939-6631: Aransas, Bee, Brazoria, Calhoun, Chambers, Fort Bend, Galveston, Goliad, Harris, Jackson, Kleberg, Liberty, Matagorda, Nueces, Refugio, San Patricio, Victoria, and Wharton Counties. Individuals should specify that their applications are related to the damage caused by Hurricane Harvey. To receive DUA benefits, all required documentation must be submitted within 21 days from the day the DUA application is filed. Required documentation includes Social Security number, a copy of the most recent federal income tax form or check stubs, or documentation to support that you were working or self-employed when the disaster occurred. Applicants must mail in or fax all required documentation within 21 days from the date of the DUA application. Send mailed documentation to: Texas Workforce Commission, UI Support Services Department, Attn: DUA, 101 E. 15th St., N. Lamar, Austin, TX, 78778-0001, or fax it to 512-936-3250. Job seekers may visit local Workforce Solutions offices for access to job-search resources, job postings and training programs, as well as assistance with exploring career options, résumé and application preparation, career development and more. Customers also may connect with potential employers through TWC’s online job-search engine, by visiting WorkinTexas.com.